Lots of hype over the past few days on who was going to be on the UK FIFA 13 cover with Barcelona’s Leo Messi. EA Sports upped the social media ante with a great campaign inviting Twitter users to guess who it was using the hashtag #FIFA13UKCover. A live EA Sports Broadcast took place at 6pm on Monday 20th August where it was revealed that Manchester City and England goalkeeper Joe Hart and Arsenal midfielder Alex Oxlade-Chamberlain were given one of gaming’s highest honours. 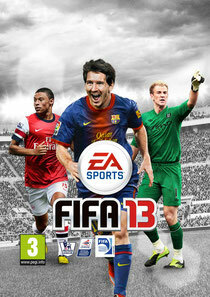 FIFA 13 launches in the UK on Friday September 28th.